One of my favorite ways to talk about strong document design is the CRAP method. That stands for Contrast, Repetition, Alignment, and Proximity. Using all four of these elements helps give your work a polished appearance and catches readers’ attention. 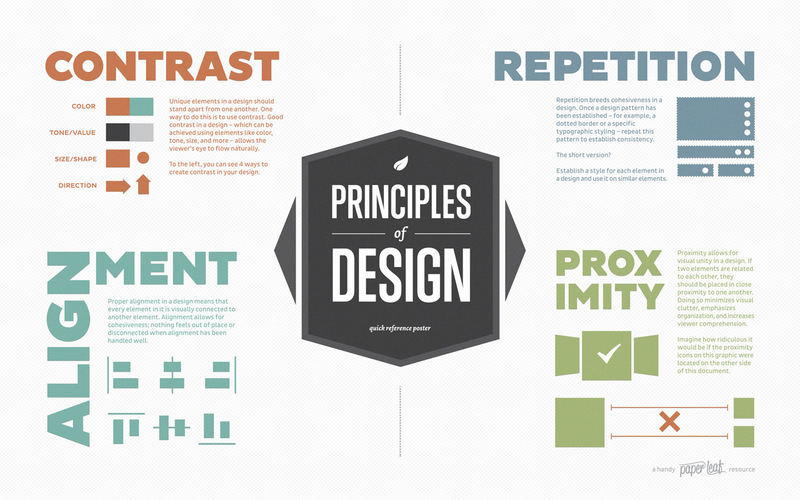 This week’s #InfographicInspiration gives you a quick overview of all four elements. It is worth saving for future use. For a more detailed explanation of the elements, watch the Lynda.com video, Understanding the PARC system (Lynda.com was apparently afraid to say CRAP, so they spell it backwards).